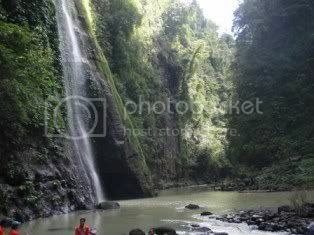 Pagsanjan Falls in Laguna is also known for its indigenous name “Magdapio Falls”. The falls have grown into a major tourist destination for the region and also one of the premiere world class tourist destinations in the Philippines. The Pagsanjan falls has its own natural beauty that fascinates the tourist from all over the globe. 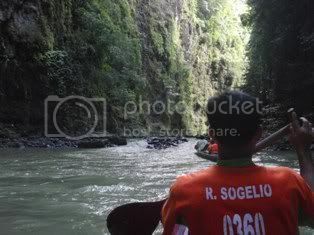 Travelers are ferried to the enthralling Pagsanjan falls with the native banka’s paddled by expert boatmen, it takes an hour going while the return trip is just around 45 minutes. 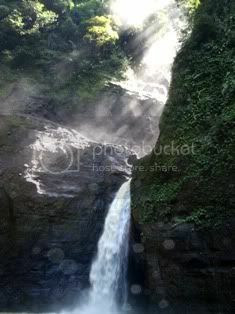 Pagsanjan Falls is believed to be the one of the best water falls in the Philippines. It is an adventure that should not be missed. The falls is a natural swimming pool; the water is clear and cold. A good swimmer can dive to its heart’s delight. One of the scenes in the movie “Apocalypse Now” was filmed here in 1979. If you take the trip, be prepared to get wet and bring some extra clothing and some plastic bag to protect your belongings. The name of the town Pagsanjan comes from the Tagalog word “Pinagsangahan” which means “where it branches”. This refers to the branching off of the two rivers, Bumbungan and Balanac.